I need an 80 MHZ network controller for my new project and I found one in the PLM/PDM system. That was easy. Now a quick check in the procurement database to do a price and availability check. So far so good, now on to the component engineering system to see if there are any possible lifecycle issues with a 10-year minimum requirement. It’s my lucky day, no issues and it’s a company-preferred part with an ECAD library instance. Does this back and forth routine sound familiar? Scenarios like this play out every day in all companies. The procurement group, design engineering, and component engineering all have varying data needs regarding the information contained in the corporate electronic\electrical component library. In most companies this has led to the proliferation of multiple databases, each serving the specific data requirements of the group that maintains the data. This situation has led to component research becoming an arduous and time-consuming task for design engineers. The bottom line is that design engineers must have the ability to make intelligent component selections involving critical supply chain information without having to leave their design environment. In today’s world, end-of-life status, lead time, part preference and trusted/consistent parametric data are as important to your company’s design process as is the standard CAD content. A good design data management system such as Zuken’s DS-CR, together with a trusted content provider such as SiliconExpert, provides the backbone for making your design environment the main source for engineering component selection. There is no need to bounce from database to database looking for component information. Procurement and lifecycle information is readily available ensuring that there are no downstream issues. Error-prone data entry of parametric data such as resistance value is virtually eliminated. Where Used tracking for your components offers benefits such as “End of Life” impact assessment. Components, design and ECAD library data are dynamically linked by DS-CR’s intelligent EBOM object. 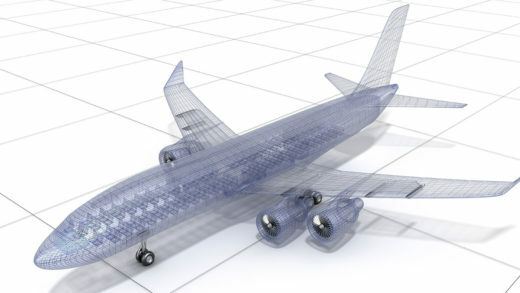 Our upcoming webinar*, “Connect Your Component Library to the Supply Chain and Avoid a Manufacturing Crisis”, explores how your design environment can become a “single stop” for component selection. If you’re in North America, register to attend on Wednesday, October 24th for the live webinar. *Due to GDPR limitations, the live webinar is available in North America only. Please visit our web page for an on-demand recording after the presentation date.